A digital nomad is someone who travels the globe while financially supporting themselves by telecommuting (working from remote locations). 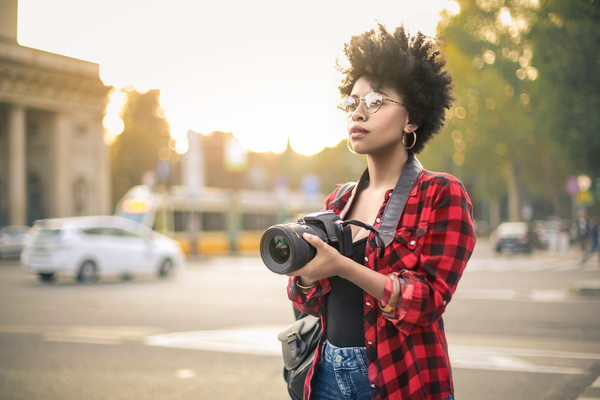 It’s certainly not everyone’s ideal lifestyle, but for those with the travel itch, it’s a one-way ticket to early retirement and global citizenship. 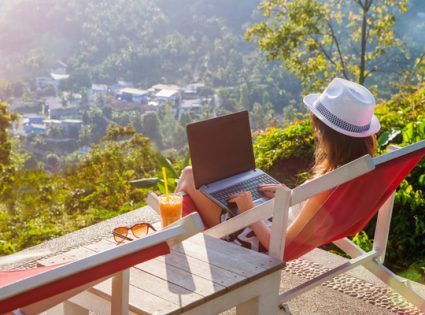 Surprisingly, the life of a digital nomad is becoming more and more popular with millennials. But why give up stable employment, reliable income, and childhood friends for the implicit uncertainty of digital vagabonding? Here we explore 7 compelling reasons to become a digital nomad. Life is all about the experience. And traveling the globe while testing comfort zones is clearly more ‘experiential’ than the daily grind of 9-to-5. With that said, a digital nomad still endures routine (it’s part of producing an income), but it’s a routine enjoyed from different corners of the globe with contrasting cultures, languages and landscapes. It’s easy to trivialize global travel and reduce it to an abstract collection of memories, photos, and stories. But the experience that underpins those stories is an unrivaled education. Not surprisingly, a digital nomad’s education is more than converting currencies, amassing frequent flier points, and bargaining in bazaars; it’s an education in business, communication, and independence. In large Western cities, networking events have become popular. They involve mingling with people from the same industry, same creed, and usually, the same city. But a digital nomad makes personal and business connections with a greater variety of people all over the globe. And typically, their connections are more memorable because they’re networking under unusual circumstances. Geo-arbitrage refers to earning money in one currency (usually USD, EUR, etc.) and spending money in a lower-valued currency. It provides a digital nomad with greater spending power for the same number of working hours. But rather than work the same hours, digital nomads typically sacrifice some spending power by choosing to work fewer hours. Logically, if your arbitrage provides four times the spending power, you can work a quarter of the hours to maintain the same quality of life. We tend to believe that if we work hard for 40 or so years, we’ll gain the independence and flexibility to one day enjoy the freedom of life. But using geo-arbitrage, a digital nomad can fast-track those notions of retirement to the present. They can set up shop in their dream destination and experience mini-retirements a few times a year, all over the world, for the rest of their life. A digital nomad sees much greater opportunity for two reasons. Firstly, their financial self-sufficiency means they have more time to innovate and interact with people. Secondly, opportunity increases with exposure. And by virtue of traveling the globe, a digital nomad gains exposure to many more people, markets and industries. If nothing else, becoming a digital nomad is the ultimate challenge. It requires the creation of a successful business, interactions in different languages, and subsistence in cities across the globe. But it’s the fruit from those challenges that really make digital nomadism tempting.